Breitling's iconic travelling companion has just received a limited edition luxury status. 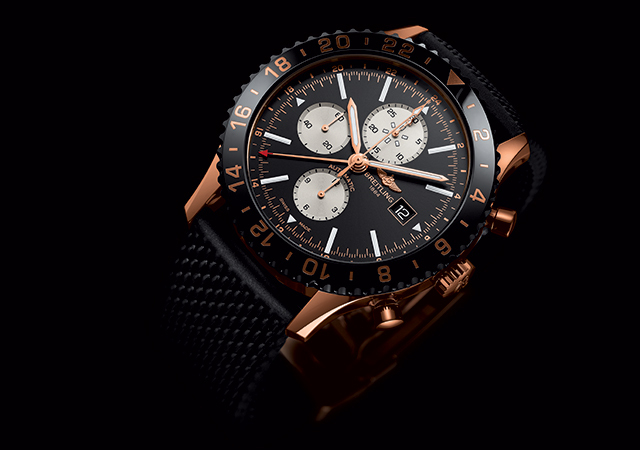 Specialist watchmaker Breitling has released a limited series of its Chronoliner line. Featuring a red gold case and a black bezel made of hard, durable material, the exclusive self-winding watch features the same utilities that the line has become famous for; the triple timezone mixed in with the chronograph. The matt black dial is contrasted with white indexes and gold markers. A date window sits at the 3 o'clock position while the other — 6, 9 and 12 o'clock — positions are dominated by the choronograph function. The second timezone is determined by a red-tipped hour hand whereas the rotating bezel is utilised to tell the third timezone. Rounding off the aesthetics is a mesh-designed rubber strap influenced by the Aero Classic bracelet or a more classic crocodile leather strap for a more elegant look. 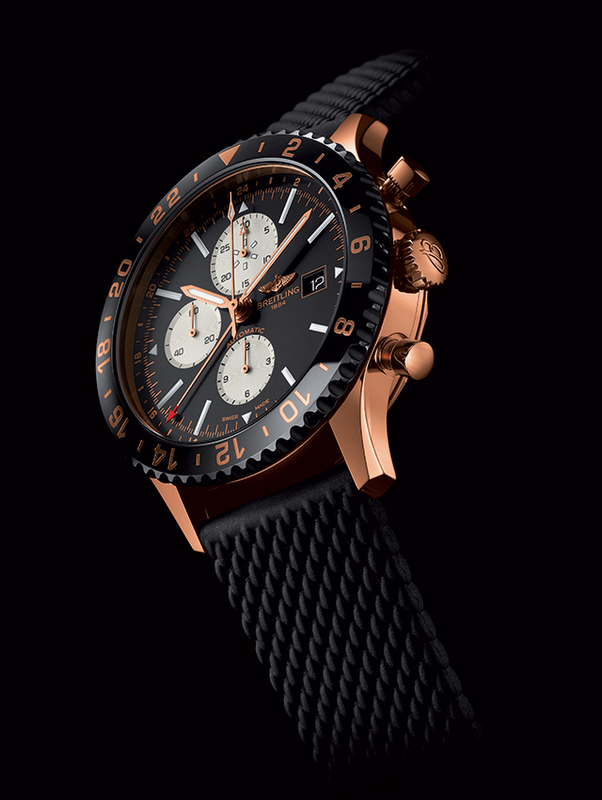 The Breitling Chronoliner is limited to 250 pieces. 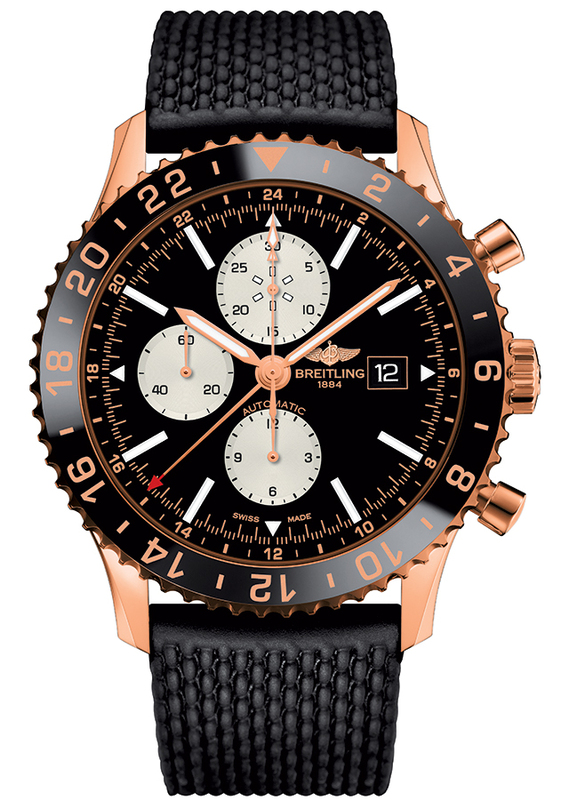 For more information, visit breitling.com.